A family fundraiser, Sunday, April 21, 2013, Mamaroneck Beach & Yacht Club, 11 a.m. – 1:30 p.m. Meet Belle, Spiderman, Snow White, Captain Hook and Superman! The Castle at Mamaroneck Beach & Yacht Club, 555 South Barry Avenue, Mamaroneck. Two bouncy houses, princess, pirate and superhero crafts, hair styling, make up artist, pictures with characters, full lunch for children and adults. 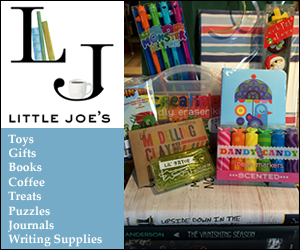 All proceeds from this FUNdraiser will go to support the ECP Scholarship Fund, Community Garden Project, Lending Library and Family Programming. To buy tickets, contact Nan Blank, Early Childhood Director at 914.949.4717, ext 107. Visit www.nykolami.org. My thoughts on the week? Well, I suppose I can’t resist but to share my thoughts on this week’s events…but really I don’t have much to say any more other than that I am just beat down and exhausted by having to look my kids in the eye yet again and tell them about more terrors in the world. Look into their eyes that dare me to say it’ll be ok, you’ll always be safe. They don’t believe me. They know that people can be crazy, they can be hateful, they can hurt people and there’s not much we can do about it. I can’t wrap them up and keep them home, I can’t tell them that there aren’t people out there who are sick and twisted and vengeful. I want to, but then what? What does that gain us, where do I go from there? I know these are dark thoughts, I know I am not offering suggestions, I know I am not making you feel better, but I can’t do it anymore. I can’t pretend that I am not sickened by the world, by the fears that I have every day that something terrible will happen to someone I love. Be it cancer or an accident or a terrorist or a super storm. We live in a new world, and the best I can do is to be the best parent or the best person I can be in that world. Try to teach my kids to be lovers not fighters, seek help when I see someone who needs it, support my friends when they are in need, try to look for the good, and try to be the good for someone else. Love my husband, hug my friends, support my kids, steer clear of negative people…nothing else matters. Take the time, do things that make you and your kids happy, snuggle when you need to snuggle, go to required activities when they make you happy, not sad or stressed. Be family selfish. Put you and your kids before life. A little story…I was driving through a local town the other day and saw this scene: There was some traffic and lots of kids milling around after school. I saw a mom screech to the curb in her huge SUV, scream at her kid to just get in the car, and screech away still yelling at the kid that they were going to be late and hurry up — while she pulled away from the curb (and thus the other kids standing there) with the kid still trying to close the car door. I ask you — what the hell activity could possibly be that important? Piano lessons? Lacrosse? Soccer? I’ll answer for you. Nothing. Nothing could be that important. Nothing. Please. Remember to say hi to your kids when you pick them up places. How was your day honey? Still feel like going to tennis or are you whipped from spending the last 6 HOURS at school keeping it together in classes and with friends and peer pressure? Do you have so much homework that going to soccer will mean keeping you up until all hours trying to get it all done? Will I be feeding you a dinner on the road driving to your next activity? Perspective. It’s time we get some. Our kids need love and time to be kids and ways to be themselves. I will tell you that I have dreamed that dream of moving away and living in a cabin in the woods. Of leaving it all behind and getting out of the race…and for the last two years I have moved towards that goal, and from the other side, it looks pretty fantastic. Maybe my kids won’t get into certain colleges as a result, maybe they won’t be high paid lawyers or businessmen, maybe they’ll go live in a cabin and hike mountains. Grow their hair long and hippy out. Maybe I just don’t care. I think I will like them though. A lot. And maybe they’ll be safe and that’s really just all I want. Every day my 10 year old comes home with another scheme on what sort of job he’s going to have when he gets older. One day it’s a scientist, one day a mountain climber, the next a chef. I love that he thinks of everything as exciting. I want him to always have that — eventually he’ll pick something and it’ll stick but until then, he should feel the world is open, the possibilities are endless. THAT is what gets me through the day. That’s what gives me hope for a better future, what rekindles my faith in the world. Take a step back and decide. What makes you happy. What makes your kids happy. Choose what will heal you and repel the acts of those out there set on destroying the joy in life and do that. Sending happiness and contentment to you and your families this week…may you find what you seek. Join the YWCA to take a stand against racism — Eliminating Racism & Celebrating the Richness of Diversity. Join the YWCA as we take a Stand Against Racism. The event takes place on Thursday, April 25, 2013 from 8:30am – 10:30am at the Jay Heritage Center, 210 Boston Post Road, Rye, NY 10580. This event will feature a diverse panel of community leaders who will address the root causes of racism in an effort to encourage conversations across all cultures in Westchester County. Panelists include: Rosa Boone, Deputy Commissioner, Westchester County Department of Social Services; Mark Fang, Executive Director, Westchester County Human Rights Commission; Millie Jasper, Executive Director, Holocaust and Human Rights Education Center; and Dr. Iris T. Pagan, Executive Director, Westchester County Youth Bureau. The Moderator is Julia Nesbitt, PHR, Director of Human Resources and Racial Justice Initiatives, YWCA White Plains & Central Westchester. The Stand Against Racism™ is a movement of the YWCA with the goal of bringing people together from all walks of life – to raise awareness that racism still exists. The methodology of the Stand Against Racism™ is to bring together like-minded people who wish to share in our vision of eliminating racism and celebrating the richness of diversity. The Stand Against Racism event is free and open to the public. To RSVP, please email Julia Nesbitt at jnesbitt@ywcawpcw.org or call (914) 949-6227 x106. To learn more about the national initiative please visit www.StandAgainstRacism.org. Rippowam Cisqua School will hold their Spring Preview Day for parents of students in grades PreKindergarten – through four on Tuesday, April 23rd, from 9:30 to 11:00 a.m. The open house will take place on the Lower Campus, located at 325 West Patent Road in Mount Kisco. The program will include tours of the campus and remarks from current students, members of the faculty, and Head of School Matthew Nespole. The open house has been timed intentionally to give interested parents an opportunity to see the School in full swing and meet and talk with students and faculty members. Founded in 1917, Rippowam Cisqua School offers students a joyful learning environment and provides them with an exceptional education grounded in academics, athletics, and the arts. Rippowam Cisqua School is a co-educational, independent country day school for students in PreKindergarten through Grade Nine with campuses in Bedford and Mount Kisco, New York. For more information on the Spring Preview Day, please contact the Admissions Office at (914) 244-1205 or lori_adelsberg@rcsny.org. For more information on the School’s mission, please visit www.rcsny.org. New York State’s First Fuel-Efficient Car Show! Get behind the wheel of today’s most advanced Hybrid, Electric and Plug-in Hybrid cars — Get the complete picture about Electric Drive Vehicles, in one place, at one time — every Electric, Hybrid and Plug-in Hybrid car available on the market in New York State. Sunday, April 28, 11:00 am to 5:00 pm (rain or shine). Grand Prix New York at the Park, 333 North Bedford Road, Mount Kisco, NY. Ride/Drive or Talk with the Dealer: Tesla Model S, Nissan Leaf, BMW Active E, Chevy Volt, Malibu Eco, Toyota Prius, Prius v, Prius c, Prius Plug-in Hybrid, Honda Accord Plug-in, Civic, CR-Z, Insight, Lexus RX550H, CT200H, ES300H…and more! Owners’ Corner: Get the Inside Scoop — Talk to the owners of the Electric Drive vehicles. Ask them the benefits and issues of each of the cars. Learn How to Charge Your Electric Drive Car: Discuss with the experts — charging in off-peak times, using solar power, See demonstrations of Charging Stations, Solar panels for garages, Talk with Solar Power Installers, Walk into the future and see how train stations, equipped with solar roof panels are perfect spot to charge your car. Municipal Fleet Vehicles: Learn How to Save Money and Reduce Pollution. Check out what local towns are doing with electric drive vehicles — traffic enforcement electric cars, hybrid sanitation trucks, hybrid transit buses. Find out how to analyze cost savings for your municipality over the lifetime of the vehicle. Business Owners: find out how to save money with electric fleet vehicles. Farmers/Landscapers/Horse riders: check out Electric pick-up trucks and other farm equipment. Students and Parents: Talk to the experts about how to build an Electric Car; check out the fuel and maintenance savings on electric drive vehicles. Why Switch to Electric Drive Vehicles? Because they save money, reduce pollution, increase energy independence, and create jobs. Right now, dependence on oil threatens our nation’s economic, environmental and national security. And two-thirds of our total oil consumption is used just for transportation. If we electrified just half of cars and light trucks in America, we could reduce oil consumption by nearly 5 million barrels a day. We’d also improve human health and the environment. Cars and trucks in the United States emit about one million tons of CO2 every day. 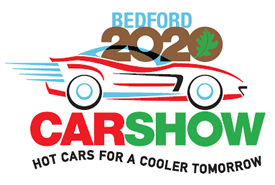 Bedford 2020 Coalition, the sponsor of the Car Show, is a nonprofit committed to reducing greenhouse gas emissions, preserving our natural resources and educating the community about actions they can take to achieve these goals. For more information, go to www.bedford2020.org/carshow2013. Saturday June 1, 2013. Hospice & Palliative Care of Westchester’s 3rd Annual Celebration of Life – Butterfly Release (Morning) 10:30am to 12pm or (Afternoon) from 1:30 to 3:00om. Hospice & Palliative Care of Westchester (HPCW) invites you to celebrate life and commemorate loved ones with a special butterfly release on Saturday June 1, 2013, with a morning release taking place from 10:30 a.m. – 12:00 p.m. This is a rain or shine event taking place at The Rye Nature Center. Members of the community are invited to purchase butterflies in memory of their loved ones and attend the event. Butterflies must be ordered in advance by May 15th at $20 each. Butterflies will not be available for purchase on the day of the event. Space is limited and reservations are required. RSVP by May 15, 2013 For further information, please contact HPCW at 914-682-1484 ext. 118 visit: www.hospiceofwestchester.com. Sunday May 5th 3:00pm FREE. Celebrate and honor our animal friends for the love and companionship they have given us. Please bring your pets: dogs, cats, horses or other dear animal friends to share a blessing by a group of clergy (of various faiths) to celebrate life in the beautiful serenity of the Japanese Stroll Garden. 914-669-5033, www.hammondmuseum.org. Hammond Museum, 28 Deveau Rd., North Salem,NY 10560. A FEEL-GOOD WAY TO DO GOOD! It’s finally spring and time to lace up your family’s sneakers — and head outside. Great cause to do it for: The Mental Health Association of Westchester’s MHA on the move 5K Run/Walk and 1 Mile Kids’ Race. This year, it’s on Sunday, May 5 from 8am to noon at FDR State Park in Westchester County, NY. The Run/Walk is an inspiring, community-wide event in support of a cause we all appreciate the importance of–mental health and wellness—this year, more than ever. Lou Young of WCBS-TV, and Miss Hudson Valley 2013, Jessica Pinckney, will be there cheering on participants. Local star, singer Jessica Lynn, will be entertaining before and after the race. The family-oriented event includes healthy food and entertainment throughout the morning. Children get their own fun warm-up, 1-Mile Kids’ Race (ages 4-12) as well as ribbons for each runner. The 5K race is timed and medals are awarded in each age category as well as overall top male/female. To register and to read more about the event, go to www.mhawestchester.org. A FEEL-GOOD WAY TO DO GOOD! It’s spring and time to lace up your family’s sneakers — and head outside. Great cause to do it for: The Mental Health Association of Westchester’s MHA on the move 5K Run/Walk and 1 Mile Kids’ Race. This year, it’s on Sunday, May 5 from 8am to noon at FDR State Park in Westchester County, NY. The Run/Walk is an inspiring, community-wide event in support of a cause we all appreciate the importance of — mental health and wellness — this year, more than ever. Lou Young of WCBS-TV, and Miss Hudson Valley 2013, Jessica Pinckney, will be there cheering on participants. Local star, singer Jessica Lynn, will be entertaining before and after the race. The family-oriented event includes healthy food and entertainment throughout the morning. Children get their own fun warm-up, 1-Mile Kids’ Race (ages 4-12) as well as ribbons for each runner. The 5K race is timed and medals are awarded in each age category as well as overall top male/female. Register Now for the 2nd Annual Riverkeeper Sweep…Riverkeeper needs you! Join us on Saturday, May 11, for the 2nd annual Riverkeeper Sweep, our day of service for the Hudson River. You can help by joining one of 70 shoreline cleanups, tree-plantings and other service projects between New York City and Albany. Please choose a site and register at www.riverkeeper.org/sweep. Last year, 450 volunteers removed 7 tons of shoreline trash and planted more than 100 trees in 30 communities. Riverkeeper is working with dozens of dedicated Sweep leaders, clubs, businesses, organizations and municipalities to double our impact in 2013. We’re particularly happy to partner with the Great Saw Mill River Cleanup, Keep Rockland Beautiful, Make Poughkeepsie Shine and Jennifer’s Annual Flushing Bay Cleanup. Registered volunteers who participate will be eligible for raffle prizes, including free kayak rentals, Hudson River cruise tickets and gift cards. And after the cleanup, registered volunteers over 21 are invited to special meetups at one of eight venues – Brooklyn Brewery, Greenhouse, Captain Lawrence Brewing, Peekskill Brewery, Newburgh Brewing, Keegan Ales, Crossroads Brewing and CH Evans Brewing. Can’t attend? Please share this email with anyone who might attend, and please consider making a donation to support the Sweep! Tuesday, May 7, 10 to 11:30 AM, Northern Westchester Hospital, Conference Center. Join us for an interactive and informative discussion on a variety of skin care topics covering information that will be helpful to you AND your kids. Athena Kaporis, MD and Kelly Christman, RPA-C will discuss how to treat and prevent acne, including oral and topical medications, peels and exfoliation, compliance, and scarring for your teens. They will also address the prevention and repair of sun-induced skin changes including the importance of sunscreen, retinoids, antioxidants, and preventive therapies that can be done at home and in the doctor’s office. Gift bags will be provided to all guests. Come learn what you and your family can do to have healthy skin at any age. Bring your questions. What is the NWH Speaker Series? Get to know Northern Westchester Hospital’s amazing medical staff as its experts speak on topics they know best. Learn what the Hospital can do to serve your needs and take control of your and your family’s health and wellness. Enjoy a relaxed atmosphere and come educate yourself on topics that interest you and directly relate to your life. Bronx Arts Ensemble presents JACK AND THE BEANSTALK at the Whitehall Club Ballroom at 3333 Henry Hudson Parkway (between 232nd and 235 Streets in the Bronx) on Sunday, April 21 at 1 & 3 pm. Appropriate for ages 3 – 10. All tickets $6. JACK AND THE BEANSTALK is a new twist on the exciting adventures of Jack and the magic beans! A new production by Dante Albertie and the Children’s Theatre Company at Lehman, with musical arrangements for oboe, clarinet and bassoon by William Scribner. For info and tickets, visit bronxartsensemble.org or call 718 601-7399.